Today I have a birthday card to share with you that I made for my niece’s 17th birthday. I actually made this around the same time as this card that was over on the Penny Black Simplicity At its Best blog. 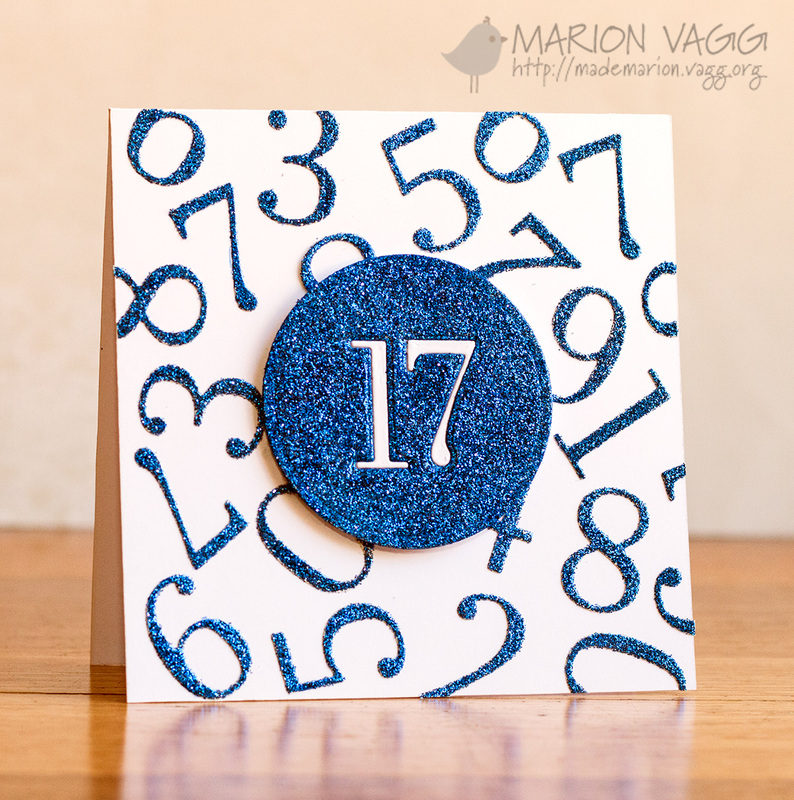 I was having fun playing around with the Penny Black Numbers Creative dies. 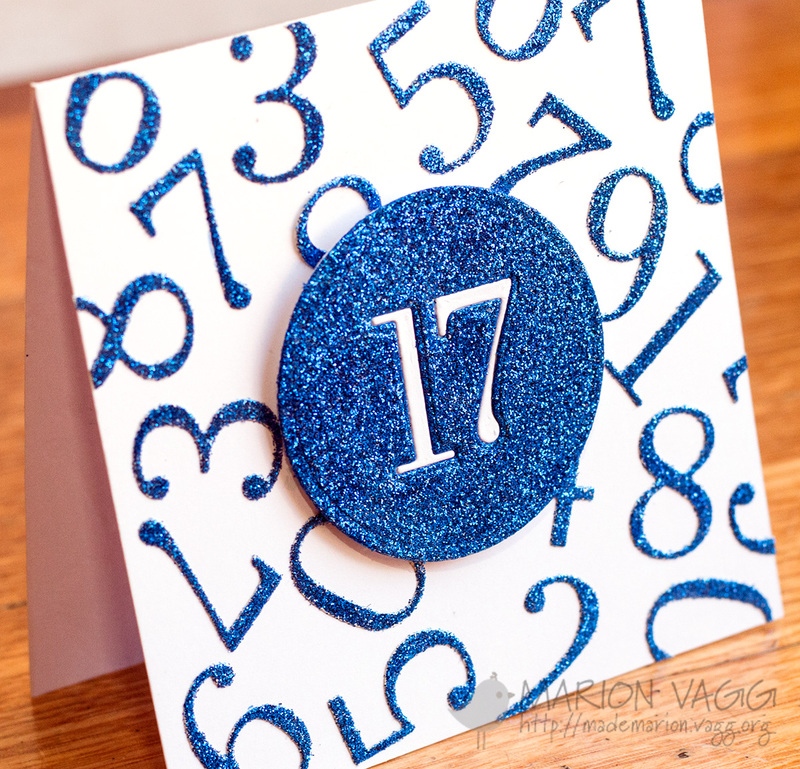 This card still uses the inlay die cutting technique for the focal panel with the 17, but for all those blue glittery numbers I made my own stickers using double sided adhesive and some glitter card stock that I had in my stash. 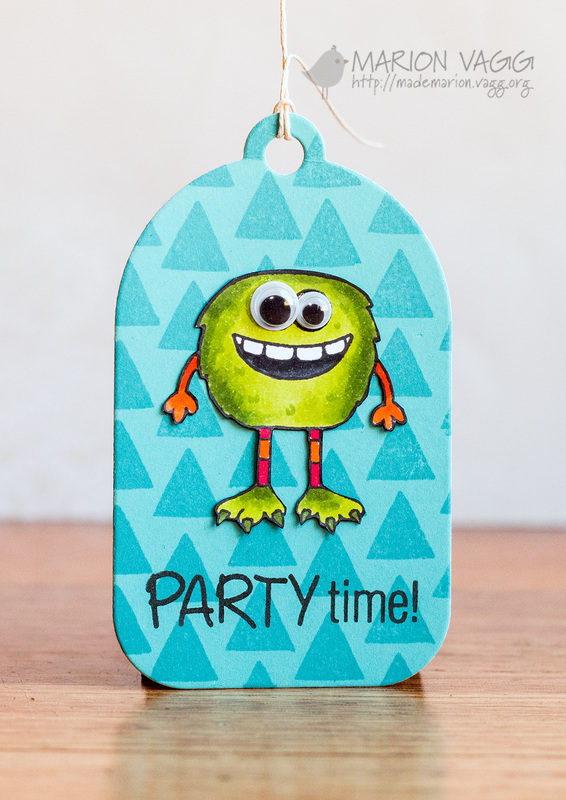 A fun and simple way to make a card, and I didn’t use any inks or stamps! It’s beginning to look a lot like Christmas on my blog. 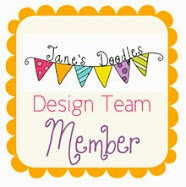 Today I’m sharing a Jane’s Doodles tag using the Christmas Blessings stamp set. I’m Guest Designing on the Sunny Studio blog this weekend. I got to play around with some of the new Sunny Studio 2016 Winter Release. There are some awesome stamps and dies in this release – be sure to check it out here. 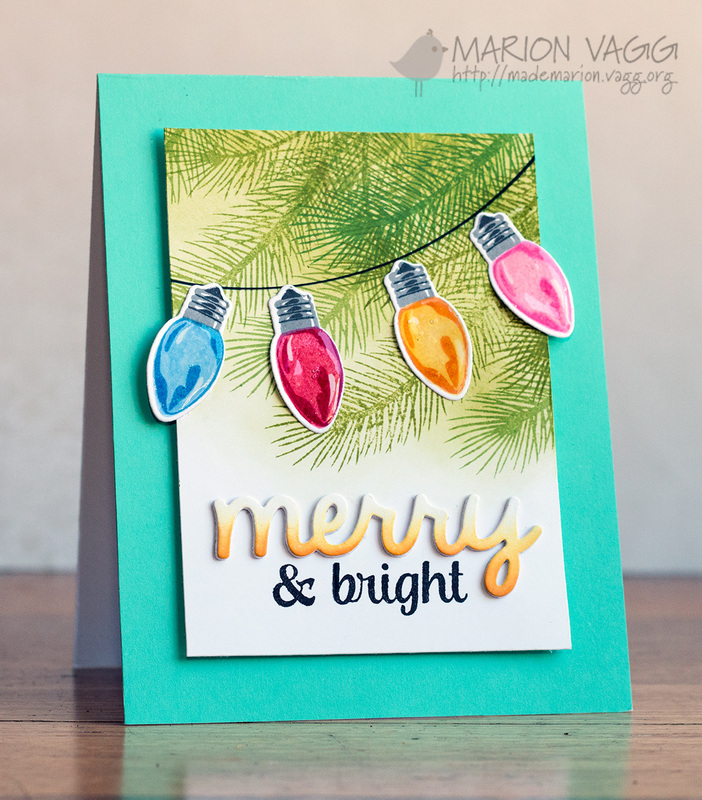 First up I used the Merry Sentiments stamp set and matching die to create a colourful string of lights. 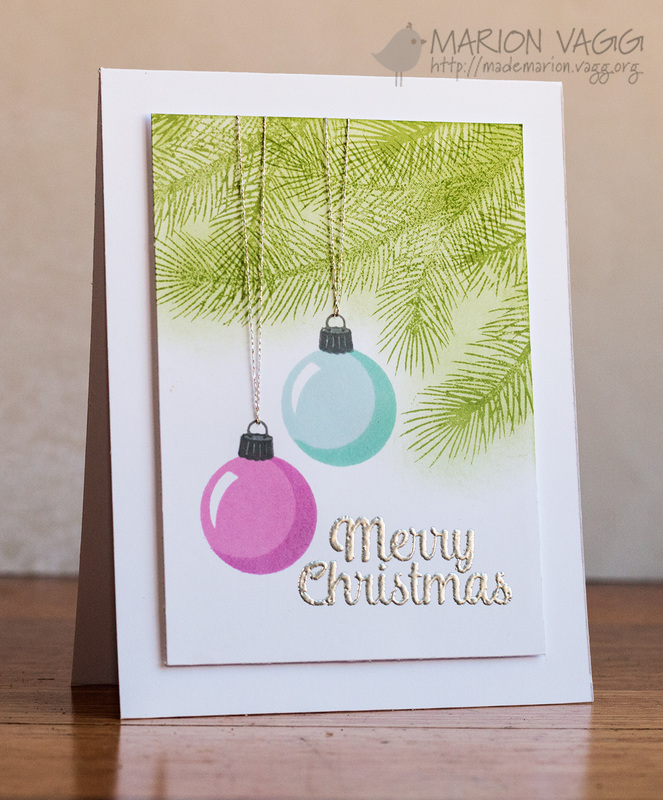 The tree branch is from the Holiday Style stamp set and I stamped it several times in two different shades of green. I used the Merry Word die as part of the sentiment. Next up is another Christmas card using the same sets as before. 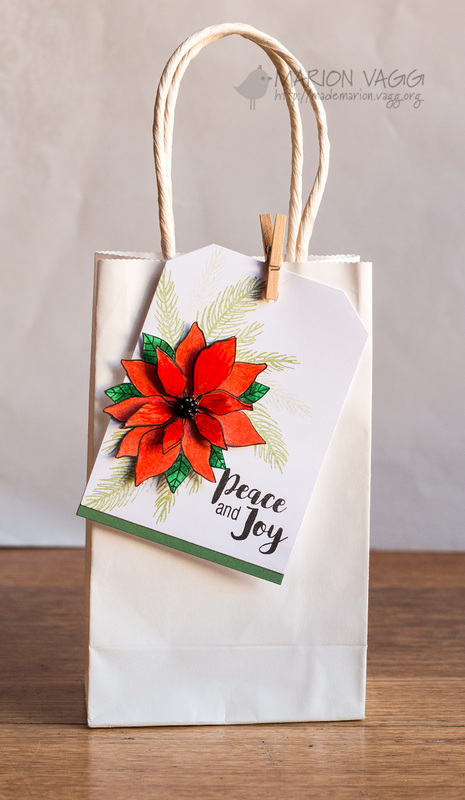 To add some dimension to the card, I created some ornament hangers with silver thread. To compliment this, I silver heat embossed the sentiment. 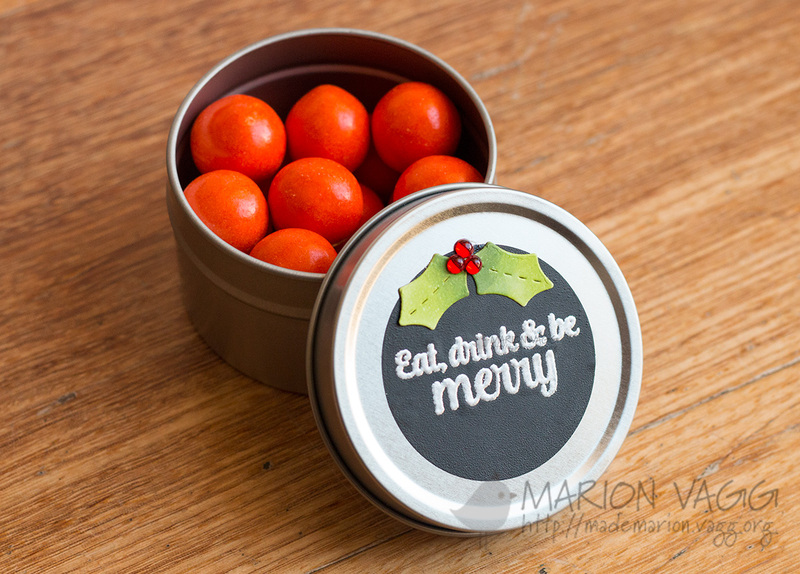 Lastly, I have used the Small Holly die (which is a free gift with every purchase from the Sunny Studio store while stocks last) to create a simple embellishment for a gift tin. 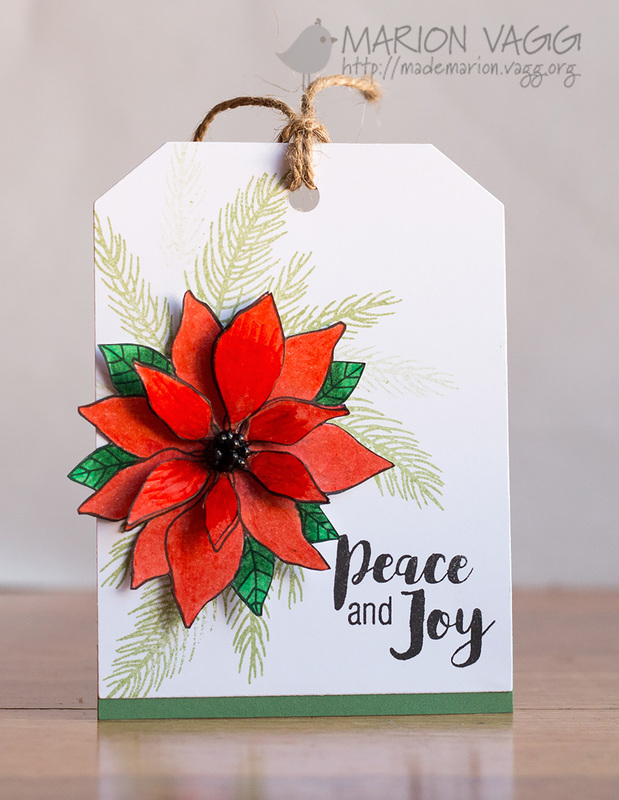 I heat embossed the sentiment from the Merry Sentiments Stamp set onto some vinyl adhesive stickers. Just popping in with a sneaky peek of my card which is over on the Simplicity at its Best blog. 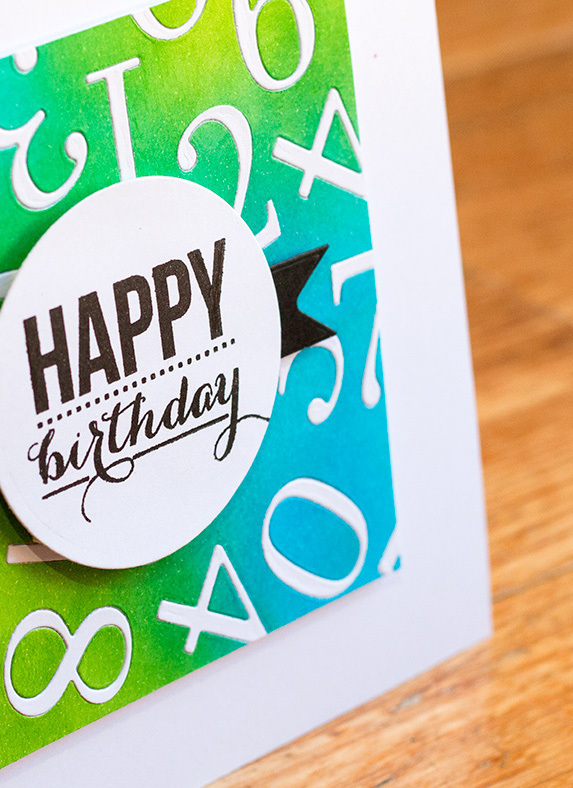 I have used one of my all time favourite techniques again – inlaid die cutting using the Penny Black Numbers die set. To check it out, go here.